Forrest joined Watsi on October 17th, 2016. 15 other people also joined Watsi on that day! Forrest's most recent donation traveled 8,700 miles to support Richard, a boy from Tanzania, to fund orthopedic surgery. Forrest has funded healthcare for 29 patients in 11 countries. Chamnan is a teenager from Cambodia. He just finished high school. He enjoyed studying mathematics and wants to be a chef. He enjoys eating fried vegetables with pork and listening to classical music. When he was six years old, he received poorly administered injections in his thighs. He has difficulty walking and is stiff in both of his hips. He has had an abnormal gait for the past nine years. Chamnan needs to undergo a nerve and tendon procedure to release his contracture and allow him to walk freely again. Surgery is scheduled for September 4 and will cost $497. He says, "I hope this will be gone after surgery." 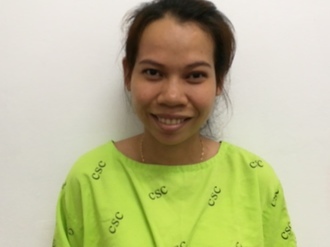 Vanna is a factory worker from Cambodia. She has three brothers. She is married and has one son and one daughter. She likes to tend to her vegetable garden. Vanna has strabismus in her right eye. Strabismus is a misalignment of the eye caused by injury or dysfunction in the associated nerves and muscles. She has blurred vision and photophobia. Vanna traveled to our medical partner's care center to receive treatment. On June 1, surgeons at our medical partner, Children's Surgical Centre (CSC), will perform a corrective procedure to align her eyes. Now, Vanna needs help to raise $292 to fund this procedure. She says, "I hope my surgery is successful and I can return to work soon." Chhenghuon is a sculptor from Cambodia. She has four daughters, five sons, and forty grandchildren. She likes to listen to monks pray on the radio. 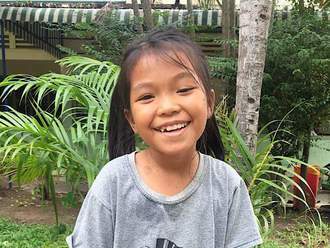 Two years ago, Chhenghuon developed a cataract in each eye, causing her blurred vision, burning, irritation, itchiness, and clouded lens. She has difficulty seeing things clearly, recognizing faces, and going anywhere outside. When Chhenghuon learned about our medical partner, Children's Surgical Centre, she traveled for half an hour seeking treatment. On June 1, doctors will perform a phacoemulsification surgery and an intraocular lens implant in each eye. After recovery, she will be able to see clearly. Now, she needs help to fund this $398 procedure. 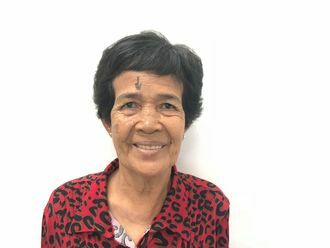 She says, "I hope my vision is clear again after surgery so I can help my family to do work at home and take care of my grandchildren." Blee is 45 years old and lives with her husband, three sons, and one daughter in Karen State, Burma. The whole family, except the youngest daughter, works on their farm, planting rice and raising chickens, pigs, and goats. About a year ago, Blee visited the hospital, where she was diagnosed with a goiter. She was referred to our medical partner, Burma Children Medical Fund (BCMF), for a assistance in receiving treatment. Since she learned she has a goiter, Blee has been very worried that her family might have to spend a lot of time caring for her instead of working. Fortunately, she is now scheduled for thyroid surgery on March 19. Her family needs help raising $1,500 to fund the procedure. She says, "I enjoy collecting vegetables in the forest and beside plantations. I hope to get healthy soon again in order to help on my family’s farm again." U Aung is 41 years old. He lives with his wife and three children in Burma. He works as a day laborer loading rice packages. In early 2016, U Aung started to experience discomfort and some pain in his groin whilst loading the rice packages. He finds it difficult to bend his knees. A month ago, he visited a hospital, where he was diagnosed with avascular necrosis of the hip. The doctor explained that he would need surgery but U Aung could not afford it. Fortunately, U Aung found out about our medical partner, Burma Children Medical Fund (BCMF). He was told he would need hip replacement surgery. 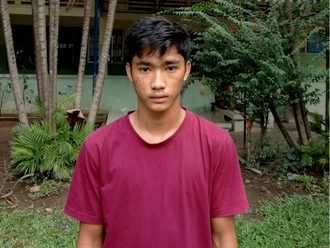 Our medical partner, BCMF, is requesting $1,500 to fund U Aung’s surgery, scheduled for October 12.